A few weeks ago, Deadspin featured this bogus list of cereals, ranked by deliciousness. I take offense to that list, and have vowed to make it right by any means necessary. Currently, March Madness is in the Sweet Sixteen, and my bracket is completely trashed. I’m one of those guys that had Creighton in the Final Four, because I’m a sucker for a flavor of the week success story. Anyone else that had Creighton in the Final Four and still believes that was justified is kidding themselves. March Madness is more of a crapshoot than anything, so don’t pretend like you knew Dayton would make it this far. I told you all of that to tell you this: I set up a bracket on some cheap free site to finally decide, once and for all, what the best tasting cereal is. I compiled the 16 best cereals, and that can not be disputed. You can, however vote on the bracket by going here. The first round is now open, and the ensuing rounds will begin each day at 10 a.m. I hope enough people will vote to make this worthwhile, because this is serious business. Best of luck to all our tasty competitors. Cinammon Toast Crunch: The No. 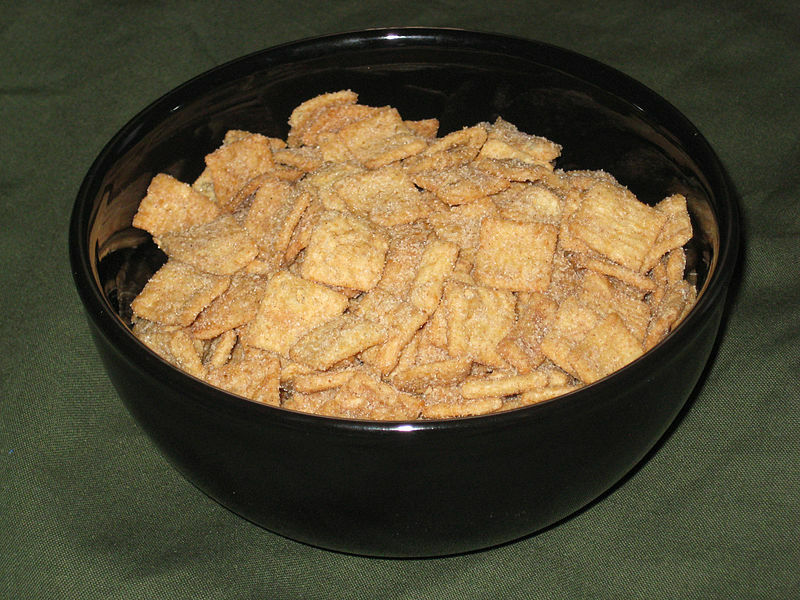 1 overall seed in the tournament, CT Crunch mixes all of the best things into one bowl. Personally, I think it’s best when it’s soft, not crunchy. But the milk produced afterward is top-notch. Lucky Charms: They could and should release a special edition with all marshmallows, but their formula with the weird shapes is a force to be reckoned with. Apple Jacks: Also a great producer of post-cereal milk. Definitely not the health or taste of an apple, but the green and orange loops are just delightful. Cheerios: For the “health” people. Add sugar to make them real delicious. Cereal is not for your health. Rice Krispies: Ditto on the sugar adding. Cocoa Puffs: All good chocolate cereals come in puff form. Fruit Loops: Possible fatal flaw: each color tastes the same. Corn Pops: An underdog for some of the best post-cereal milk, in my opinion. Cap’n Crunch: The roof of your mouth be damned, the Cap’n brings the heat. Smacks: They’re honey, sugar, and other stuff? They look like pecans and they’re sticky. But tasty. Cookie Crisp: Don’t taste like cookies and milk, but you can’t go wrong with these bad boys. Fruity Pebbles: What was the deal with Fred and Barney anyway? Honey Comb: These are a great option for eating out of a ziplock bag as a snack. No milk, idiot.